Celebrities are continuously finding new ways to utilize social media. Whether it’s to share personal opinions or promote a project, the rich and famous routinely broadcast their everyday lives via sites like Twitter, Facebook and Instagram. 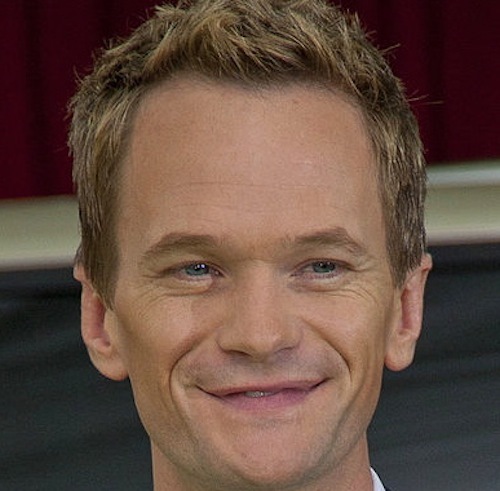 Although this celebrity/fan interaction seems almost commonplace, actor Neil Patrick Harris is currently harnessing the collective knowledge of his social media base in a unique way: To help him purchase a new vehicle. Late last week, the How I Met Your Mother star took to Twitter to ask his followers which minivan he should buy: a Toyota Sienna or Honda Odyssey. “Ok, I’ve done research and narrowed my minivan choices to two: Honda Odyssey or Toyota Sienna? Is the Odyssey worth the extra $$?” tweeted Harris. According to US News and Rankings, the 2013 Toyota Sienna and 2013 Honda Odyssey are neck and neck based on industry test drives and reviews. In fact, the vehicles are tied for the top spot on the site’s list of Best Minivans. The pair each earned an 8.6 overall score, besting competitors like Mazda5, Chrysler Town & Country, Dodge Grand Caravan and Nissan Quest. Despite receiving identical scores, the Odyssey beat Sienna in three of five categories, including critic’s rating, performance and interior. The Sienna did, however, earn a higher reliability rating. The Odyssey’s overall score was determined based on 19 published reviews and test drives, while the Sienna’s score was based on 39 published reviews and test drives. The Sienna earned high marks for its powerful and smooth V6 engine, roomy interior, available AWD, but lost points because its second row seats don’t fold into the floor. On the other hand, the Odyssey was praised for its excellent performance, large interior and notable tech features. According to critics, the Odyssey’s one fault is that the six-speed transmission is not offered on all trims. Harris, who currently drives a Toyota Pruis, would also likely be interested to know that the Honda Odyssey possesses better EPA-estimated fuel economy. Currently best known as the womanizing Barney Stinson in How I Met Your Mother, Neil Patrick Harris first achieved notoriety for playing the title role in Doogie Howser, M.D. Aside from television, Harris has appeared in numerous films including the Harold & Kumar series, as well as on Broadway in plays like Cabaret and Assassins. Do you want to help Neil Patrick Harris choose his next vehicle? Click here to chime in on the actor’s Twitter page.